The Local Organizing Committee (LOC) of the European Universities Championship in Rowing 2019 has been preparing the event. 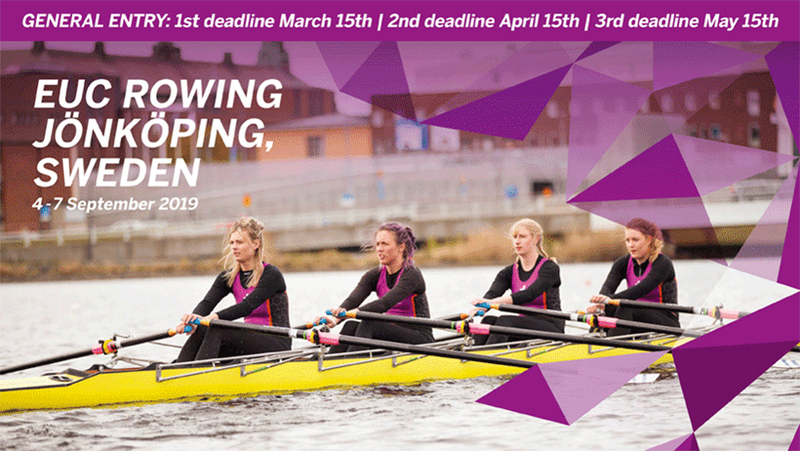 #EUCRowing2019 is a collaboration between Jönköping University (JU), Jönköping Student Union, the Swedish University Sports Federation, Destination Jönköping, Swedish Rowing Federation, Jönköping municipality, Jönköping University Rowing Association, Jönköping Rowing Society and Huskvarna Rowing Society. 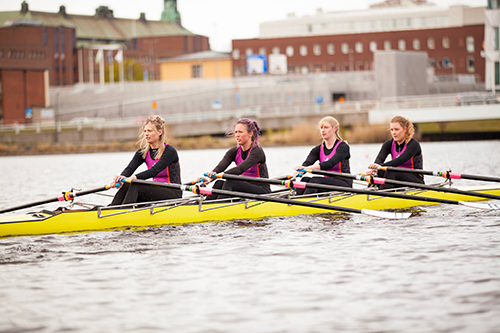 The rowing championship will be one of the top sporting events the city of Jönköping has ever had. 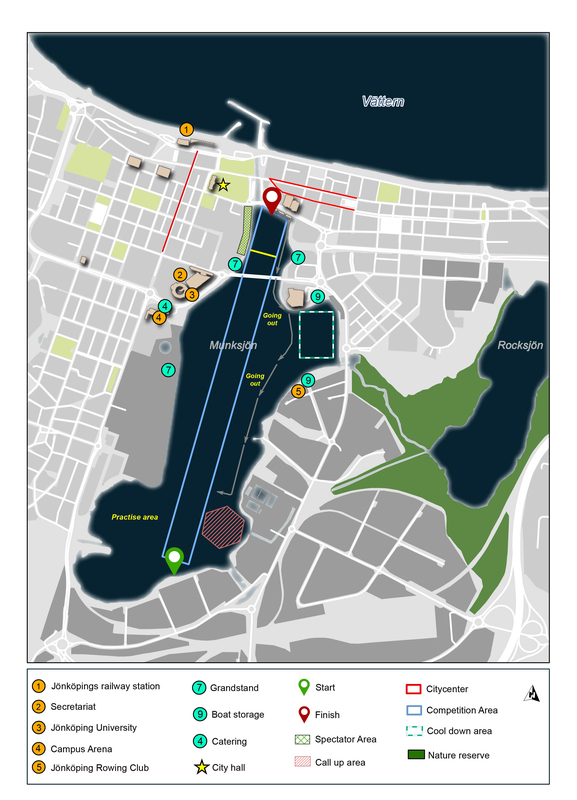 Lake Munksjö will be the rowing venue with the spectacular finishing line located right in the city centre by Lillsjöplan. The university's campus will be used as a hub area for the rowers and other visitors to the competition. Campus Arena will be used as the accreditations centre for the championships as well as a catering venue. Among other planned events during the four-day championships will be an exhibition of JU master's programmes and a series of public lectures on sports-related topics that will be taking place at the School of Health and Welfare. Jönköping Student Union will be hosting evening events as well. You can get regular updates on Facebook, Instagram and Twitter.